Create any mobile applications for Android and iOS platforms as well as full technical support. Creation of Web sites of any complexity taking into account all technical problems with the use of unique solutions. 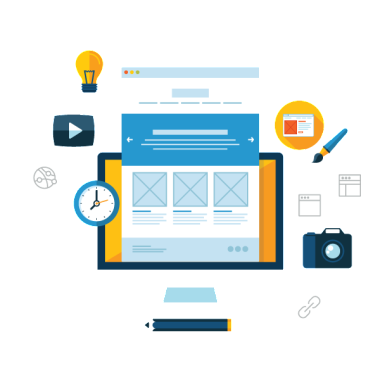 Creation of a modern and unique design for your website as well as the redesign of the existing design. Raising the ranking of the site in known search engines – Google, Yandex, Rambler and promotion in social networks. We provide professional technical support for your websites in 24/7 mode, providing them with uninterrupted work ..